As Senior Pastor Melissa Pisco watched, a couple and their two boys, ages 10 and 14, happily pieced Lego structures together. 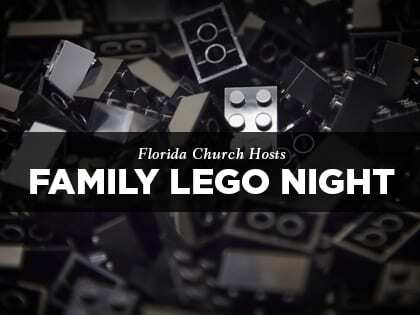 Around them, dozens more children and adults gathered to play with the brightly colored toy bricks at a Lego Night last May, hosted by the children’s ministry at Celebration United Methodist Church in Gainesville, Florida. Greg Favazza, the director of family and children’s ministry, says that UMC ministry teams often take turns planning activities for the church’s monthly family night. Pisco, whose 6-year-old son likes Legos, approached Favazza with the idea of hosting a Lego Night. Favazza says his team was enthusiastic about the idea, and advertised by passing out flyers in the community. They also used the church and children’s ministry Facebook pages to help get the word out. During Lego Night, nearly 50 people from the community and 25 church members played with the Legos, filled out crossword puzzles, ate popcorn and watched The Lego Movie. Afterward, one family began coming to Sunday services, according to Favazza, which normally has close to 120 people in weekly attendance. “Lego Night allowed members of our church to meet people, converse and create possible relationships that could either lead people to Christ for the first time or to grow in their faith,” he says. Next articleIs It Possible to Manipulate People Into the Kingdom?